When speaking generally we often identify variance with losing streak which i guess isn't far from true definiton in our context. In simpler terms, it’s the proven theory that just because something occurs 55% of the time in the long term doesn’t mean it will occur 5.5 times out of 10, or even 55 out of 100." "If we look at a coin flip there are two outcomes heads and tails. The results of a 100 coin tosses would not be exactly 50/50 very often. We know however that with a fair coin toss the odds are 50/50. should move closer to evens." In sports betting context if someone hits 2.00 odds 56% of the time troughout the year, that doesnt exclude having months were he had hitrate of 63% or maybe 47% on a bad month. While there isnt simple solution for this,there are few tricks that help a bit, i talk with tennis onmy mind here but it should be applyable to other sports to some extent. -While i personally like to operate on bit bigger volume that can do much more damage when facing a downswing.If you have three good bets on a particular day take the best one. It is better to lose that one (even if other two turned out won) than losing all three in what is probably not the best timing. -This doesnt mean you should jump from 2.10 odds to 1.50 for sole purpose but avoiding those over 2,50/3.00 should be wise at this moment. If you think about backing underdog play it safe this time and go with game/set handicap or some other bet that makes sense in given match. If the odds arent dead wrong it is much harder to hit picks with 3.0 than those around 1.50 and you will really feel law of numbers here. 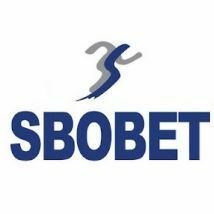 -In situation where you cant "buy" a single won bet it is unlikely that you will string few event on a same betslip.Unlike singles parlays are much more tricky and there is thing such as luck and confidence and just pure mathematic laws that play a considerable role here. -If your stats are red for a longer period analyze your picks. Did you change your style and type of bets,is something changed in a period where you did good last season,or players which game you really know suddenly become unreliable? In tennis there can be weird results at beggining on the season or with players changing surfaces etc etc. I for example had some losses with players who started season very badly comparing to there results at the end of 2016 so that is all something to had in mind. -This is very important and applyes to everyone except very skilled proffesionals that know their exact hitrate on long run and even they might be wrong. This is ideal time to wipe large chung of your bankroll or even everything so be very careful. If you must do something it is better to lower your stakes then raise them. Bet bigger when you're doing good not opposite. Ok,this is about all that came to my mind at this moment,i know that i didnt said anything new or didnt came with some incrredible breaktrough regarding this topic but there are few things that could be useful to all of you at some point. Nice article! Agree with most things except the advice to look for lower odds when you are in a bad run. My way of dealing with loosing streaks is simple - just take a break for few days, no betting at all, go out and do something you like. Then come back refreshed and with restored confidence. Always works for me. Comment is hidden because tipster is banned. to double the rate of this disease and leads to the ruin - to think and to turn off the emotions. a good option is to take a look at your last bets and see when is the quarter or the month of the year that you are in bad run according them. Then, you can change strategy or go for break..